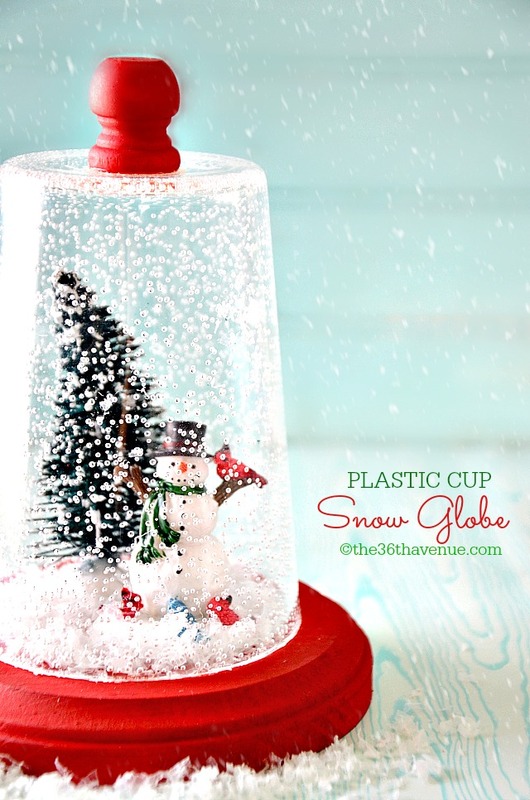 Make this adorable Christmas Gift under five minutes. 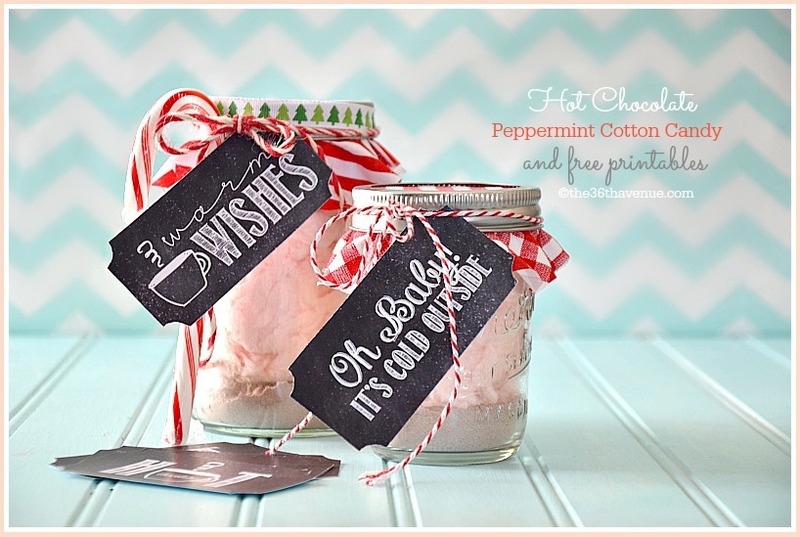 This fun Peppermint Cotton Candy Hot Chocolate and Gift Tag Free Printable is perfect for Neighbor Gifts and Teacher Gifts. 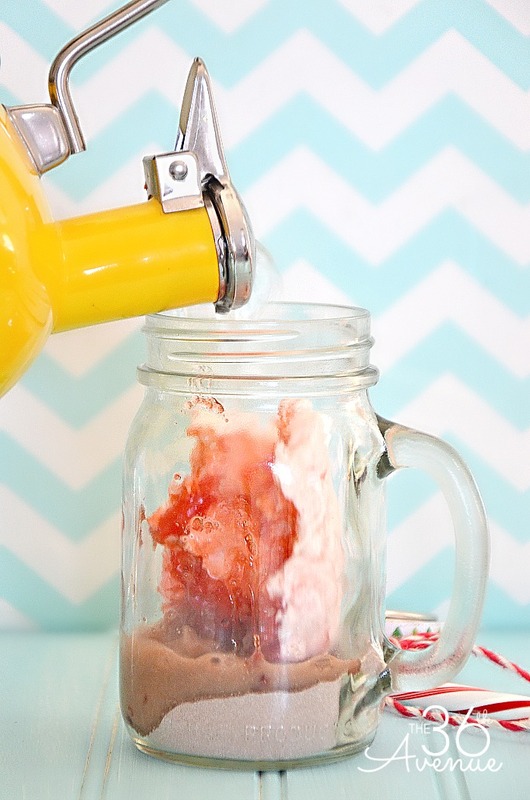 All they need to do is add hot water to enjoy this festive and delicious Christmas Treat! For the smaller 8oz. Mason Jar I used three tablespoons of our favorite hot chocolate. I filled the rest of the jar with this yummy Peppermint Cotton Candy that I found at Target. 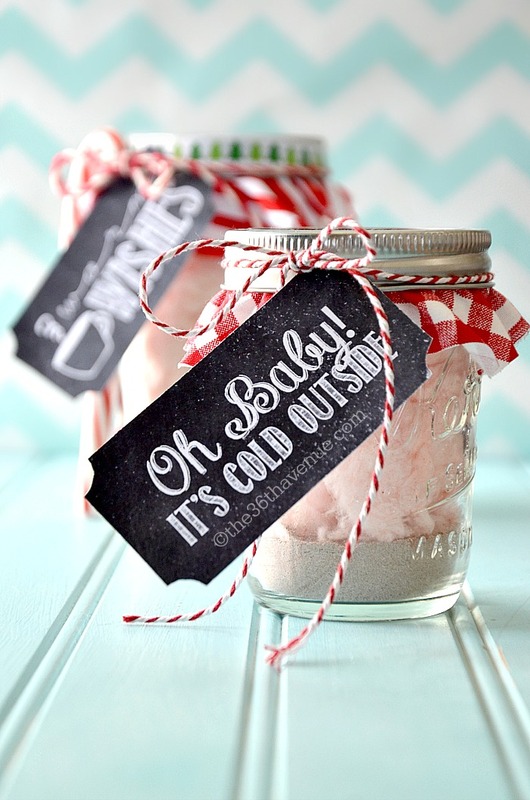 Use fabric, bakers twine, and ribbon to decorate your jar! 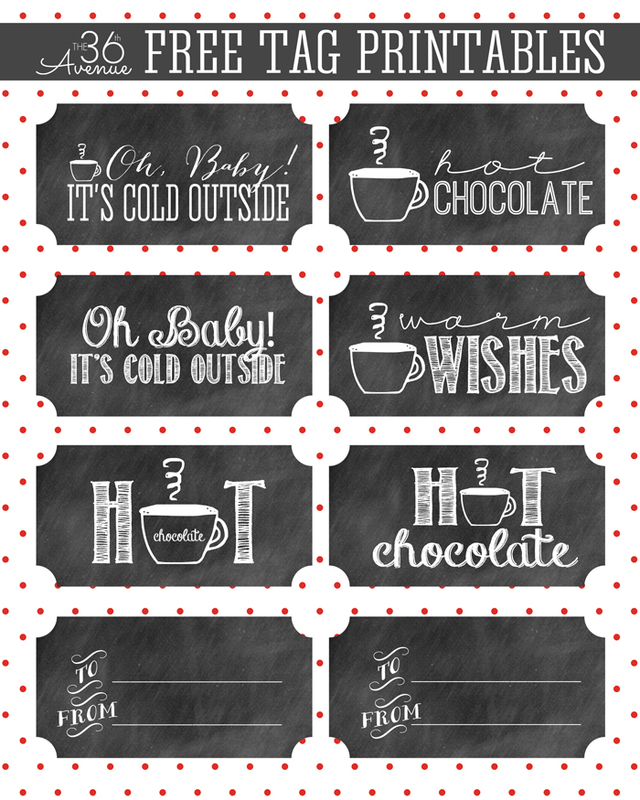 And don’t forget the free printable tags… So cute! 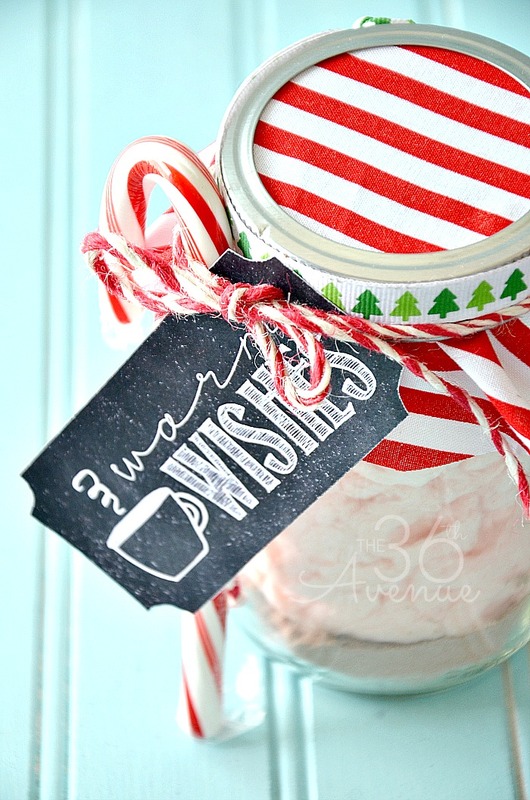 Print them, cut them, and hang them on the jar. You can download and print them HERE. My kids love seeing the cotton candy disappear right before their eyes. The hot water melts it instantly… So yummy! 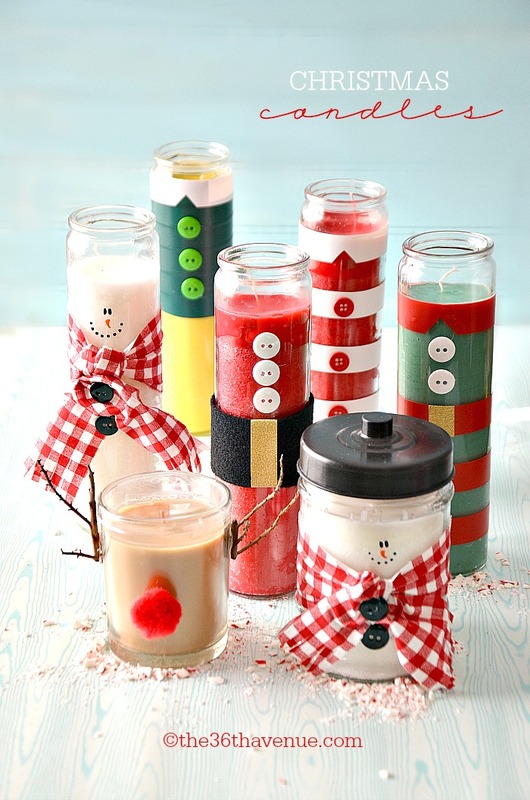 Here are some other fun Handmade Christmas Gifts that you’ll love! …And HERE these 25 Edible Christmas Gifts! Thank you, those tags are adorable!! Oh my goodness! 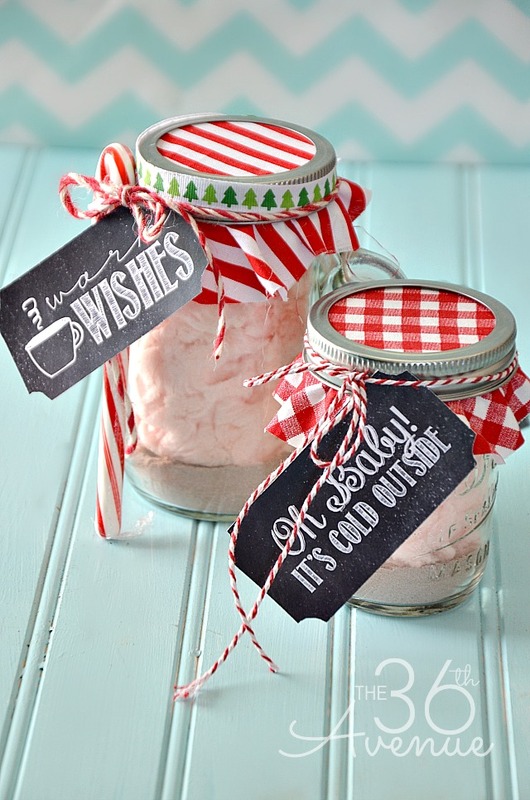 This is such an adorable diy gift! And quite yummy looking as well! How fun is this! Who wouldn’t love this as a gift!